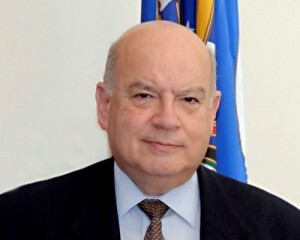 WASHINGTON, USA - The secretary general of the Organization of American States (OAS), José Miguel Insulza, signed last week a cooperation agreement with the European Union (EU) that stipulates the contribution of one million Euros to strengthen the Inter-American Human Rights System, the pillars of which are the Inter-American Commission on Human Rights (IACHR) and the Inter-American Court of Human Rights. The agreement, entitled "Support and Strengthening of the Work of the Inter-American Human Rights System through the promotion and protection of the rights of the most vulnerable and excluded communities and groups in the Americas," was led by Insulza as part of the commitment to give greater strength to the system and to contribute to efforts aimed at addressing social inequities and the need to ensure the full rights of people living in vulnerable conditions. The OAS-EU agreement seeks to respond to issues of great concern for the System, among which are impunity, inhumane treatment and conditions in prisons, and the security and protection of the rights of human rights defenders. Furthermore, the instrument reiterates the importance of combating discrimination against indigenous peoples, persons of African descent, and migrant workers, and of protecting and promoting freedom of expression, as well as the rights of women who suffer domestic violence and femicide. The contribution of the European Union applies to program 4 of the IACHR Strategic Plan (2011-2015) and will foster the development of case law and legal regulations, which support the creation of policies and legislation that ensure respect for human rights in the member states, awareness and knowledge of the System, access to it by victims of human rights violations, and the strengthening of the Commission’s capacity to safeguard and protect their rights. In this regard, the agreement also contributes to strengthening the work of nine rapporteurships and a thematic Unit of the IACHR to promote the full enjoyment and respect of the rights of the most vulnerable communities and groups that live in extreme poverty. With regard to the Court, the agreement seeks to strengthen its capacities and to assist in the dissemination of the work, the role, the jurisprudence, and the contribution of the Court to the defence of human rights, which is expected to result in greater compliance by the states with the decisions issued by that body, and, in turn, to further contribute to increasing the efficiency of the System. The European Union has been a Permanent Observer to the OAS since 1998 and has contributed nearly $17 million to programs of the Organization in the areas of promotion of democracy, cooperation and electoral observation, conflict resolution, human rights, public security, and sustainable development.